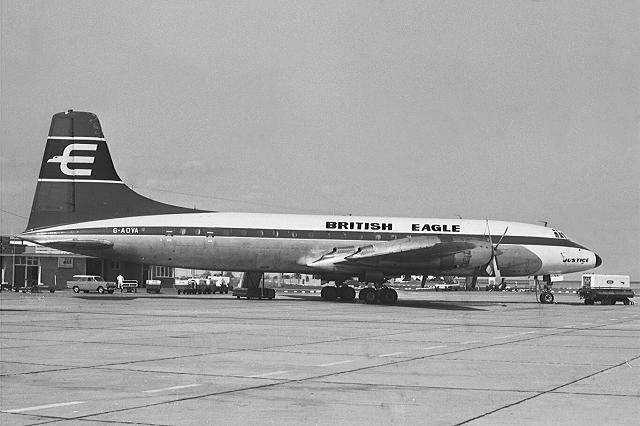 First flew on 31st December 1956. 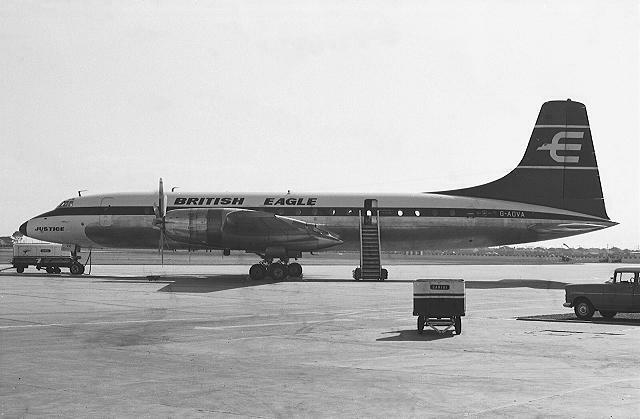 Leased by British Eagle International Airlines Ltd from Bristol Aircraft Services Ltd on the 25th April 1964 and purchased on 29th December 1967. 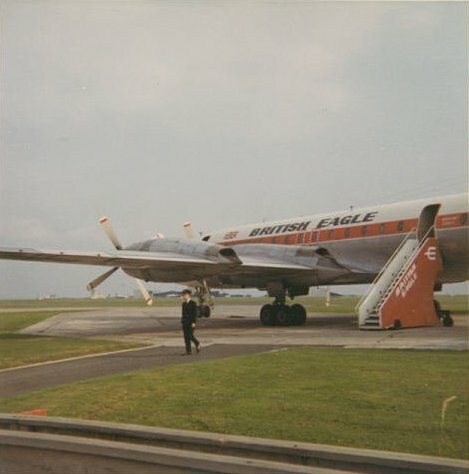 The aircaft was converted to a series 312 and then to a 319. 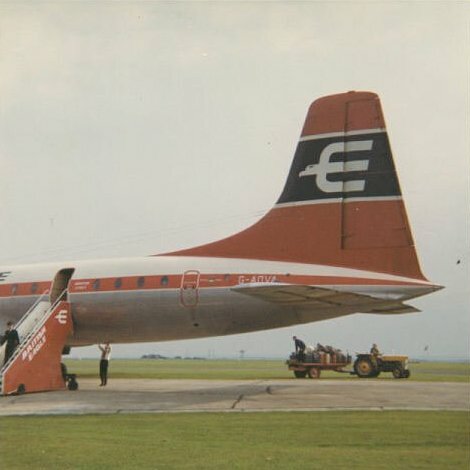 Once the aircraft was sold to CCT Leasing it was leased out to Caledonian Airways and Lloyd International before being sold to Airline Engineering for spares in May 1971. In October 1971 it was withdrawn from use and broken up at Bagington, Coventry.